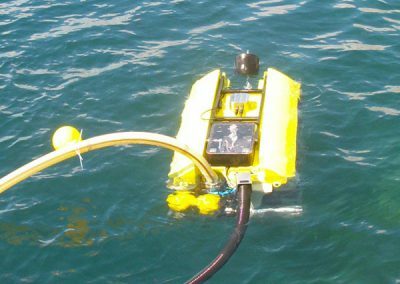 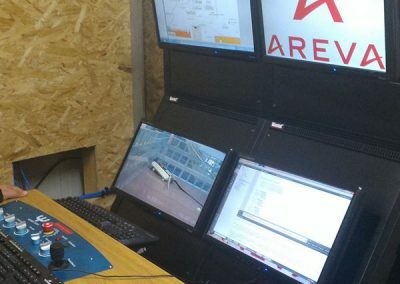 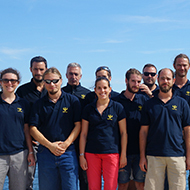 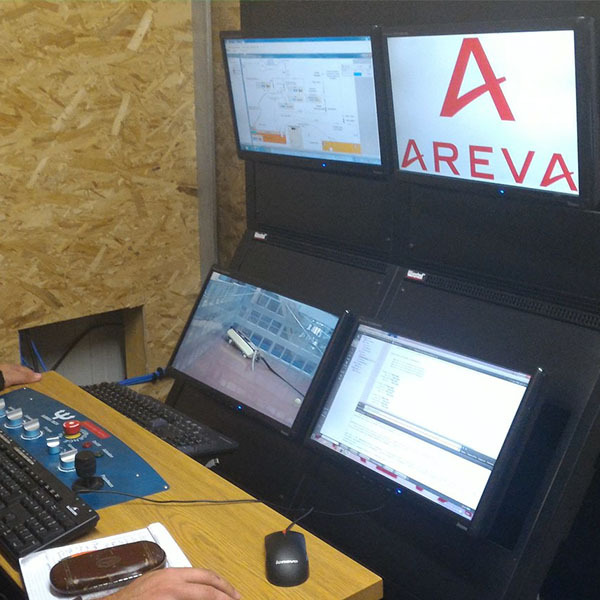 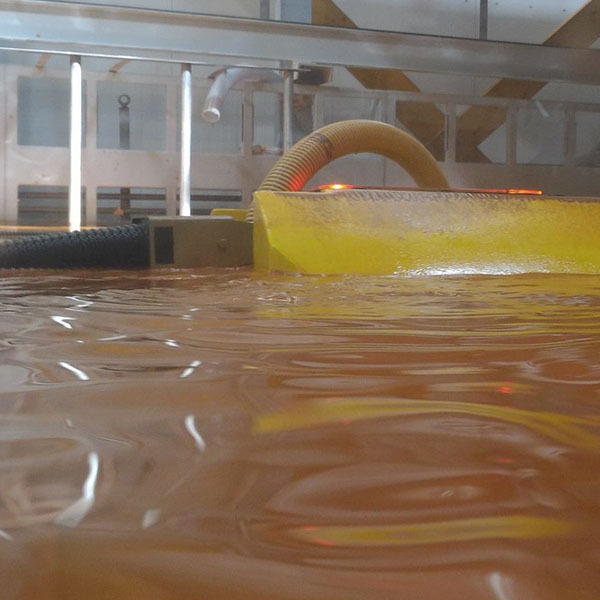 Subsea Tech designed and manufactured a ROV dedicated to recover radioactive sediments stored in the tanks of the AREVA plant of La Hague. 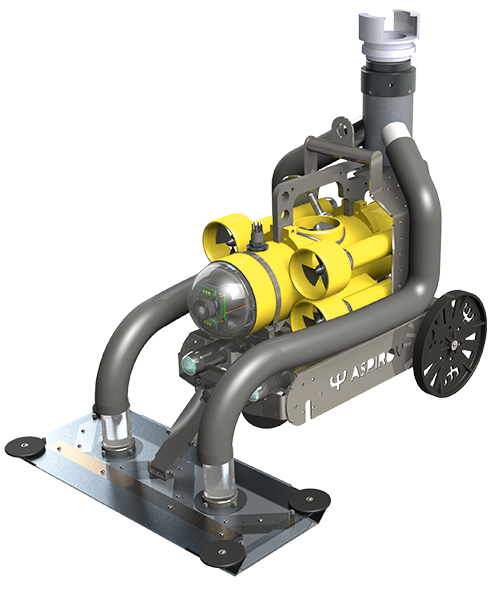 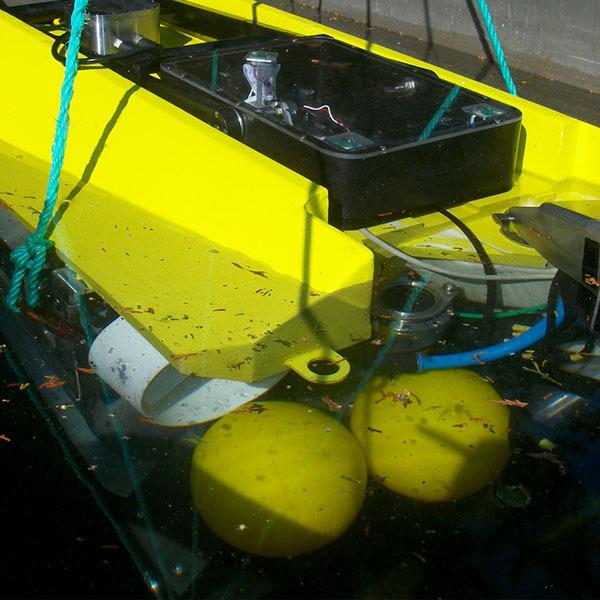 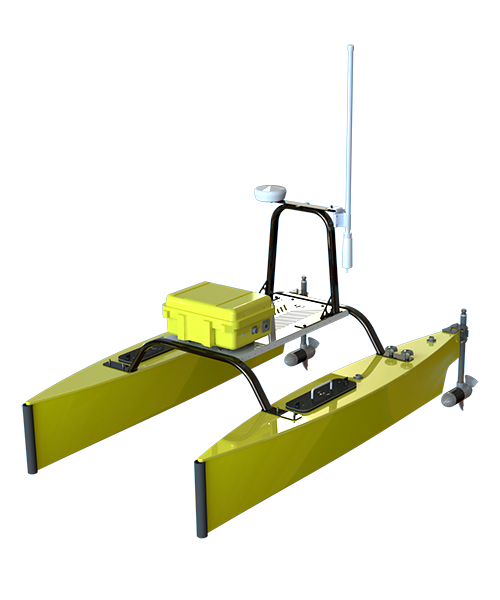 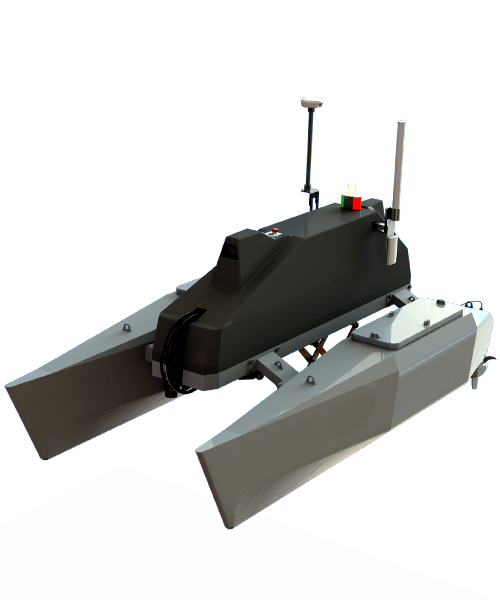 The vehicle works 1,5m under the water and is fitted with a powerful pump and a decompacting system, A ballast system allows accurate control of the vehicle depth and of the vehicle pressure on the sediments during the recovery phase. 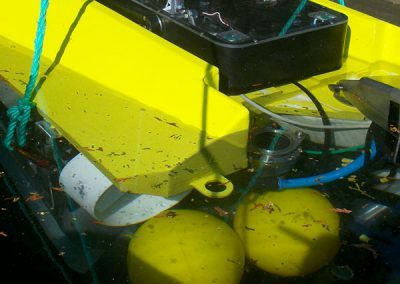 Depollution of underwater areas (harbour areas, aquaculture farms, etc. 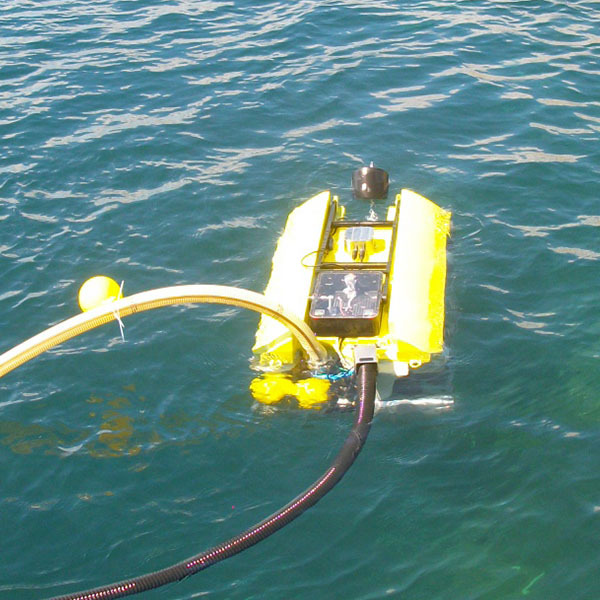 Dredging operations in dam reservoirs, ponds, etc. 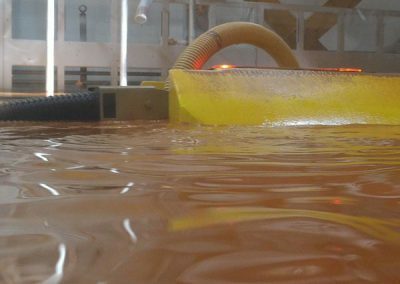 Besides special features direclty linked to nuclear environment, strong development work effort was dedicated to thrusters hardening, which were tested for more than 1500h in a row at full power in a clay saturated water, occuring sudden reverse torques. 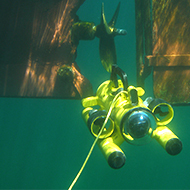 These tests allowed developing special dynamic sealing solutions that are now reused for all underwater thrusters mounted on Subsea Tech's mini-ROVs.